By default, Jackson JSON processor does not wrap the JSON object with the root name when used with JaxB Introspection(@JsonRootName will work for non-JaxB implementation). You can enable this feature by setting the property SerializationConfig.Feature.WRAP_ROOT_VALUE and DeserializationConfig.Feature.UNWRAP_ROOT_VALUE to true. All good? Not yet. Noticed the naming convention used in the root node? It came out in Pascal case(begins with a capital letter), how? By default Jackson uses class name as the root name. This makes our JSON output ugly. Let us find a way to make this root name inline with our naming convention. We can tell Jackson ObjectMapper to use JAXB annotations to map objects with name and change the behavior of name generation by providing a customized version of JaxbAnnotationIntrospector. We can use this class to change the root name or even the property names; change to lower case, change to upper case, suffix or prefix names with custom string or even give new name to the elements. Below class overrides findRootName() of JaxbAnnotationIntrospector and returns the XmlType as root name. 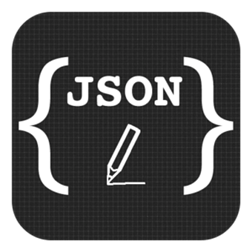 So, with a custom Annotation Introspector you can customize the way the JSON serialization and de-serialization are done. Feel free to drop your feedback below. This blog tries to prevent copying and pasting of example code in a (not very effective) rude manner. What's the point of posting this if you don't want anyone to use these snippets? There is no more setSerializationConfig (in Jackson 2.4.1 at least), you can simply use mapper.setAnnotationIntrospector(…). Don't copy+paste, understand the concept and then implement it on your own :) You are right, setSerializationConfig() is available only in older versions, i think below 2.0 versions, which has package org.codehaus.jackson. * not with com.fasterxml.jackson. *.